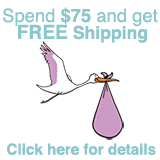 We offer a range of high quality pregnancy test strips that are manufactured to meet the highest quality standards in Canada. We offer an Ultra Sensitive Test Strip that is 99.9% accurate. Pregnancy test strip tests work by detecting the human chorionic gonadotropin (hCG) hormone in urine, which increases during pregnancy. With a detection hormone level rate of 10 mIU/ml, these are the most accurate and sensitive test strip systems available. Detection results can be expected within 3 – 5 days after conception. 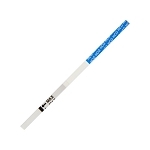 We also offer a Standard Sensitivity 20 mIU/ml Test Strip option. The quality, affordability, and sensitivity of our pregnancy test strips and pregnancy midstream tests surpass most "over the counter" equivalents.